We present a study of the hemolymph vascular system of the marbled crayfish, Procambarus fallax f. virginalis, the only crayfish species known to be parthenogenetic. To identify potential evolutionary patterns, we compared data from a total of 48 specimens of P. fallax with 22 specimens of Orconectes limosus. Visualizations (2D and 3D) were carried out using a combination of classical and modern morphological techniques. Our data were compared to the existing literature. Like all Decapoda, both P. fallax and O. limosus have a hemolymph vascular system, consisting of a globular heart with seven off-branching arteries. We were able to visualize in detail the heart of crayfish for the first time, i.e., the heart muscle itself, with its loose bundles of myofibrils, as well as the valves and flaps of ostia and arteries. Furthermore, the branching patterns of the seven artery systems were analyzed. 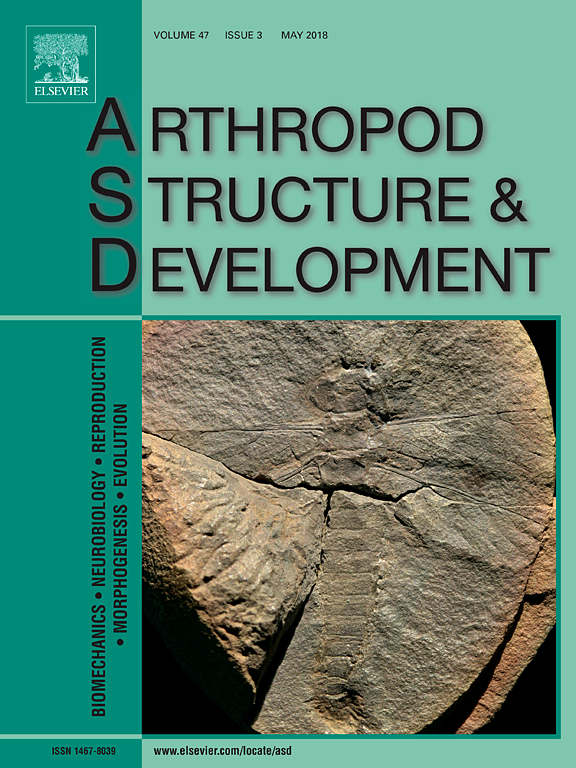 Anatomical structures identified to be consistent in all specimen of both species were combined, and a proposed schematic anatomy established of the hemolymph vascular system of crayfish. “One hundred worst” lists of alien species of the greatest concern proved useful for raising awareness of the risks and impacts of biological invasions amongst the general public, politicians and stakeholders. 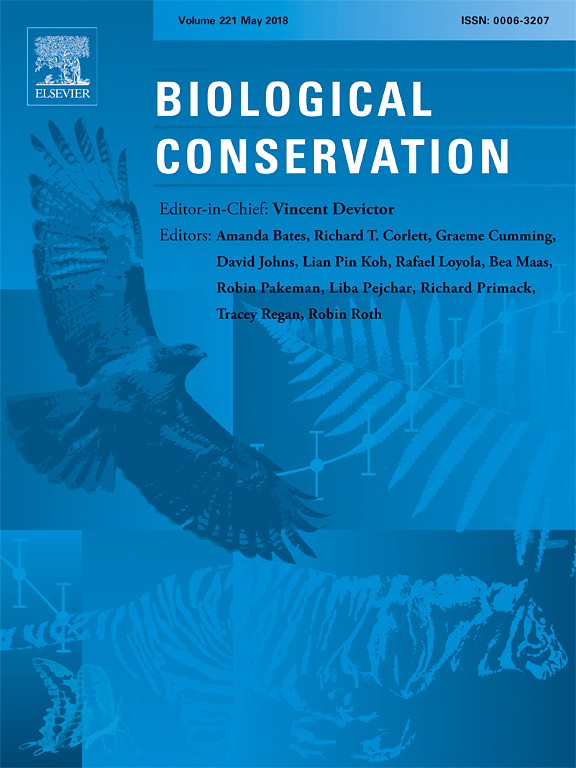 All lists so far have been based on expert opinion and primarily aimed at representativeness of the taxonomic and habitat diversity rather than at quantifying the harm the alien species cause. We used the generic impact scoring system (GISS) to rank 486 alien species established in Europe from a wide range of taxonomic groups to identify those with the highest environmental and socioeconomic impact. GISS assigns 12 categories of impact, each quantified on a scale from 0 (no impact detectable) to 5 (the highest impact possible). We ranked species by their total sum of scores and by the number of the highest impact scores. We also compared the listing based on GISS with other expert-based lists of the “worst” invaders. We propose a list of 149 alien species, comprising 54 plants, 49 invertebrates, 40 vertebrates and 6 fungi. Among the highest ranking species are one bird (Branta canadensis), four mammals (Rattus norvegicus, Ondatra zibethicus, Cervus nippon, Muntiacus reevesi), one crayfish (Procambarus clarkii), one mite (Varroa destructor), and four plants (Acacia dealbata, Lantana camara, Pueraria lobata, Eichhornia crassipes). In contrast to other existing expert-based “worst” lists, the GISS-based list given here highlights some alien species with high impacts that are not represented on any other list. The GISS provides an objective and transparent method to aid prioritization of alien species for management according to their impacts, applicable across taxa and habitats. Our ranking can also be used for justifying inclusion on lists such as the alien species of Union concern of the European Commission, and to fulfil Aichi target 9. Rymut, JA. 2018.Determining the effects of nitric oxide on Procambarus fallax forma virginalis. Poster given at the International Crustacean Congress IX, Washington DC, USA, 22-25 May 2018. http://www.birenheide.com/ICC2018/program/singlesession.php3?sessid=P, poster P.33. Ethanol (EtOH) effects inducible nitric oxide synthase (iNOS) activity by inhibiting the production of iNOS in cells. Acute doses increase the production of nitric oxide (NO) and endothelial NOS (eNOS). At higher dosages, ethanol impairs endothelial functions. NO has been found to suppress the feeding response in pond snails, Lymnaea stagnalis, induce synaptic depression in crayfish, and inhibit the swimming rhythm of Xeonpus laevis tadpoles. This in vivo study will be performed in order to determine if synaptic depression is caused by free radical NO and determine if overall movements are decreased in Procambarus forma fallax virginalis (P.f.f virginalis) in the presence of NO. It was hypothesized that there will be a depression in synaptic activity and less movement in crayfish exposed to free radical NO. A probe will be inserted near the cerebral ganglion to assess depression in synaptic inputs. Movement will be tested by placing crayfish into a partitioned tank and counting each movement across a partition as one movement. Movement will be tested on both an individual and group level to determine if group activity will be a variable factor. NO will be introduced through the usage of ethanol, an L-arginine supplement, and chlorhexidine​ in an approximate range of five to ten​ parts per million (​5 ​mg/L​ and 10 mg/L​). 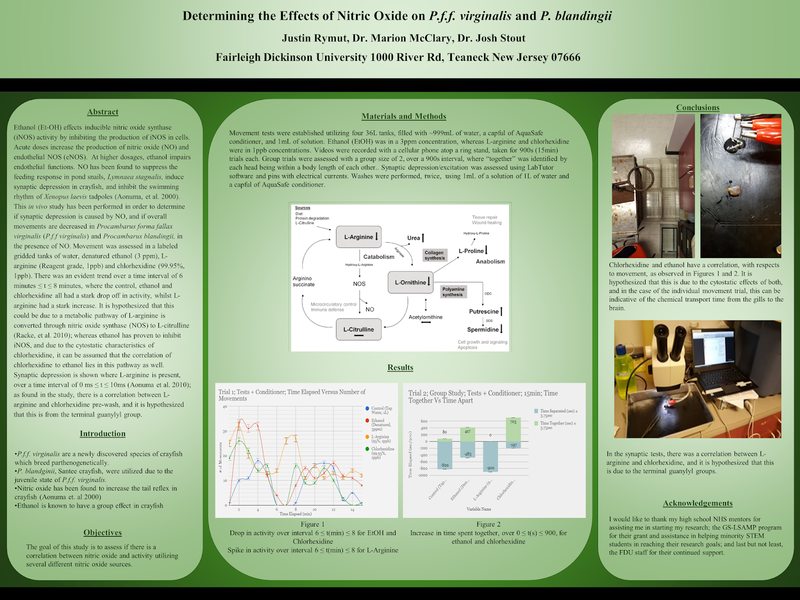 Update, 30 May 2018: At the author’s request, here is the updated abstract from the poster as it was presented at the meeting (above). Ethanol (Et-OH) effects inducible nitric oxide synthase (iNOS) activity by inhibiting the production of iNOS in cells. Acute doses increase the production of nitric oxide (NO) and endothelial NOS (eNOS). At higher dosages, ethanol impairs endothelial functions. NO has been found to suppress the feeding response in pond snails, Lymnaea stagnalis, induce synaptic depression in crayfish, and inhibit the swimming rhythm of Xenopus laevis tadpoles (Aonuma, et al. 2000). This in vivo study has been performed in order to determine if synaptic depression is caused by NO, and if overall movements are decreased in Procambarus forma fallax virginalis (P.f.f virginalis) and Procambarus blandingii, in the presence of NO. Movement was assessed in a labeled gridded tanks of water, denatured ethanol (3 ppm), L-arginine (Reagent grade, 1ppb) and chlorhexidine (99.95%, 1ppb). There was an evident trend over a time interval of 6 minutes ≤ t ≤ 8 minutes, where the control, ethanol and chlorhexidine all had a stark drop off in activity, whilst L-arginine had a stark increase. It is hypothesized that this could be due to a metabolic pathway of L-arginine is converted through nitric oxide synthase (NOS) to L-citrulline (Racke, et al. 2010); whereas ethanol has proven to inhibit iNOS, and due to the cytostatic characteristics of chlorhexidine, it can be assumed that the correlation of chlorhexidine to ethanol lies in this pathway as well. Synaptic depression is shown where L-arginine is present, over a time interval of 0 ms ≤ t ≤ 10ms (Aonuma et al. 2010); as found in the study, there is a correlation between L-arginine and chlorhexidine pre-wash, and it is hypothesized that this is from the terminal guanylyl group. Faulkes Z, DeLeon H, Thomas J. 2018. Cloning crayfish cell culture. Poster presentation given at the International Crustacean Congress IX, 22-25 May 2018, Washington, DC, USA. http://www.birenheide.com/ICC2018/program/singlesession.php3?sessid=P, poster P.81. The parthenogenetic marbled crayfish, Marmorkrebs, is an emerging model organism. 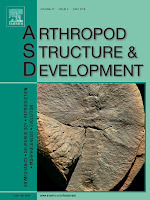 For example, it is the only decapod crustacean with a sequenced genome, and several labs have used Marmorkrebs as a model for embryonic development. One difficulty in studying embryonic cells is that eggs contain a large amount of yolk, which can make imaging embryonic cells difficult. We successfully isolated and cultured cells from early stage Marmorkrebs embryos, and confirmed their identity using DNA sequencing. Cellular and molecular tools for use in crayfish are underdeveloped compared to other model organisms, and cultured embryonic cells could provide a new testbed for those techniques. 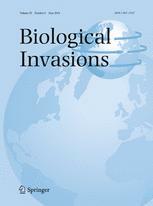 populations in several European countries, Madagascar and probably Japan, making marbled crayfish an interesting paradigm of evolutionarily young and ongoing bioinvasions. This article provides an annotated bibliography of the scientific and popular scientific literature on marbled crayfish from its detection until today. Each reference is assigned to a publication format and one or more biological categories. The content is shortly described and its significance for marbled crayfish research and general biology is assessed. Of the 239 references listed 140 (58.6%) deal primarily with laboratory experiments on the biology of marbled crayfish and the establishment and use of marbled crayfish as a research model, 74 (31.0%) with its biogeography, invasions and ecology and 25 (10.4%) with hobby aquarist issues and the pet trade. Primary freshwater crabs represent a culturally and ecologically significant component of freshwater habitats globally that has a high percentage of threatened species. Invasive species (especially non-indigenous crayfish) and climate change are not only important standalone threats, but are also expected to compound existing threats (e.g., habitat loss/modification, pollution) and challenge the long-term survival of these decapod crustaceans. This study illustrates the importance of considering these two emerging and growing threats in conservation or management strategies by quantifying (via species distribution models) the individual and aggregated risks of these threats in Southeast Asia, a region with the highest diversity of primary freshwater crabs and a high proportion of imperiled species. Results predicted that most species of crabs (82.1%) will co-occur (and hence interact) with invasive crayfish to a moderate to high degree, and most species (69.2%) will also experience a reduction in suitable climate conditions in the future. In terms of aggregated risk, the results also predict an increased overlap between invasive crayfish and native crabs for three out of the seven species analyzed (namely Procambarus virginalis, Cherax destructor and Orconectes rusticus). 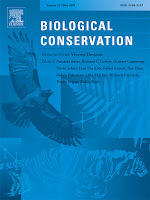 Findings from this study provide a quantitatively derived rationale for the development of adaptive regulations and conservation plans in the region to minimize the risk of invasive species in a cost-effective way, thereby enabling the protection of Southeast Asia's natural heritage and its vital ecosystem services.